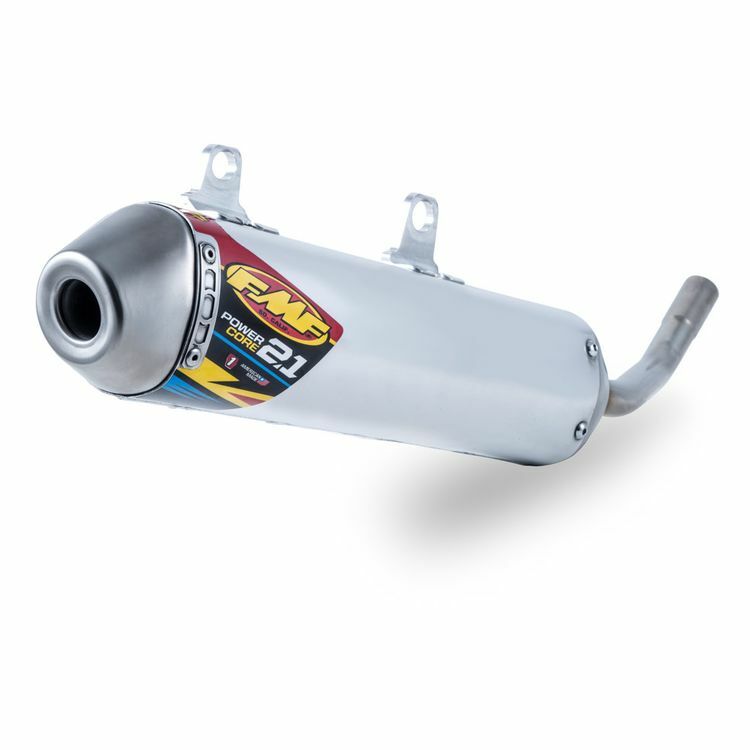 FMF created the Powercore 2.1 Shorty Silencer, which utilizes a shorter aluminum canister and inner core. This design decreases the amount of back pressure in the muffler, which on a 2-stroke will increase throttle response and low to mid-range power. If you spend most of your time riding on tight tracks and trails, the Powercore 2.1 Shorty is the silencer for you.